As you enter college, you are probably wondering how difficult managing your finances will be. You have thought of the basics like developing a budget, tracking your expenses, and saving money when you can. What else is important to note? Pay on time. Paying your bill on time is one of the best ways to build good credit; you are showing lenders that you are reliable. If you are worried about forgetting to make a payment, most cards now have auto pay as an option. You can select paying the balance, minimum, or a different specified amount on the due date or any day of the month (just remember to pay before it is due if not on the due date). You can set it, forget it, and never worry that your bill is not paid! Many cards also offer a choice for payment due dates. If you have most bills due on the same day or near payday, it will probably be easier for you to remember to make those payments. A $10 pizza could end up costing you a lot more if you do not pay it off! If a $10 pizza can end up costing you $26, imagine ordering 15 throughout the year and putting them on your credit card without paying it off. You are looking at $400 for pizza! Pay off as much as you can. Highly responsible credit card users pay their balances in full each month. This avoids interest and fees, and again, demonstrates to lenders that you are reliable. If you cannot pay your statement in full, pay as much as you can afford to pay. When you shop, try to keep within your limits. Ask yourself if you could pay for this transaction in cash. If you do not have the money now, it is likely that you still will not have the money for it the next month, and your interest and overall balance will start to hike up. If you would like to build credit but do not want to get into debt, use your credit card for a common everyday expense already in your budget. For example, you can have a credit card you use to get gas for your car. At the end of the month, just pay off the balance. You are building credit and not losing money, since that is something that was built into your budget regardless. Search for low fees and low interest rates. There are many cards out there with no annual fees. If you have to get a card with an annual fee, make sure the benefits of that specific card outweigh the cost of that fee. Also remember to compare interest rates on your cards, because the lower, the better. Some companies offer no interest for the first year, but do not let that encourage you to get yourself into debt, because interest will come into effect the next year. Be sure to read your cardholder agreement, as it will spell out possible fees and charges for you. Look at your statement and log in online. The best way to be aware of your spending and check that everything is correct is to look at your statement each month or log in periodically online. In both places, you can see your transactions, available balance, etc. If you see a discrepancy, call the credit card company to discuss it. You may also be able to sign up for text or email alerts, payment reminders, etc. that can help you stay organized when it comes to your cards. Check your credit score. Did a late payment affect your score? Is the percentage of your used credit too high? Many credit card companies let you view your credit score free, and even explain the components of your score. If you need to look beyond your credit card company to obtain your score, the easiest way is by visiting www.myFICO.com. From this site, you can request your FICO credit scores calculated by the three national credit reporting agencies (Equifax, Experian, and TransUnion). You can also visit each agency at www.equifax.com, www.experian.com, or www.transunion.com to request a copy of each report. For more information about factors affecting credit scores, click here. Find a rewards card with perks you can use. Several credit cards offer cashback just for using the card! Some have a set percentage rate on all purchases, while others run monthly specials. For example, there is a card currently offering 2% cashback for any gas or restaurant purchases this month. Other themed cards may be beneficial to you as well. 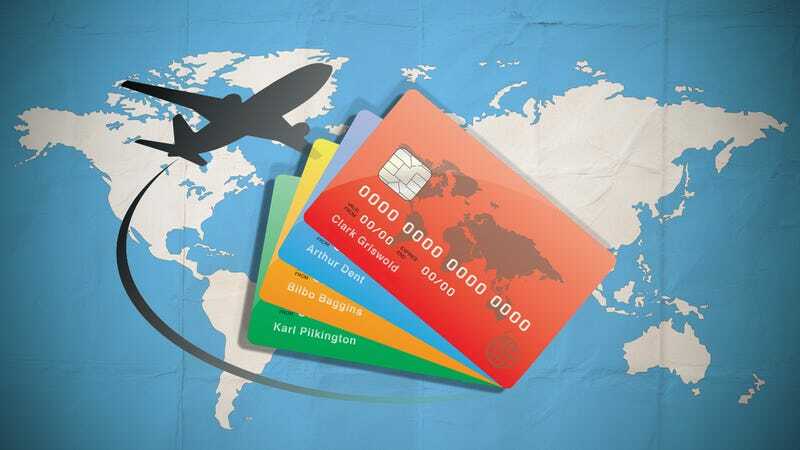 If you travel far to go home, take vacations often, or plan on studying abroad, you may like to look into travel rewards cards. You earn points as you spend with the card, and can later redeem those points for travel, or use them to cover a past travel-related purchase. Just remember to use those perks! For cashback cards, you can usually receive a check, gift card, or statement credit for all of the cashback you have earned. Building credit is important for your future. One day you may want to purchase a house or car, and do many other things that require a good credit score/credit history. Use those cards responsibly now, and your future self will thank you! Watch nearby displays instead of buying your own. When people think of the Fourth of July, the first thing that comes to mind is fireworks. Even though they are pretty, people that put on huge displays usually end up spending hundreds or thousands of dollars each year. Luckily, it seems like fireworks are going off in every direction on the Fourth. Check to see if nearby local parks or businesses are doing fireworks displays – you may be able to see them from your place. You also may be lucky and have neighbors setting some off; the great thing about fireworks is that if they’re visible from your house, you can enjoy them for free! To get information on local fireworks displays, click here. Decorate with flags. This seems pretty common sense. Who doesn’t decorate with American flags for the Fourth? Party supply stores may have a bunch of fancy decorations available, but they are usually more expensive. Remember the classics! You can go to virtually any store and pick up a bundle of tiny American flags at minimal cost. Your yard will look patriotic dotted with the stars and stripes! Be creative with other decorations. 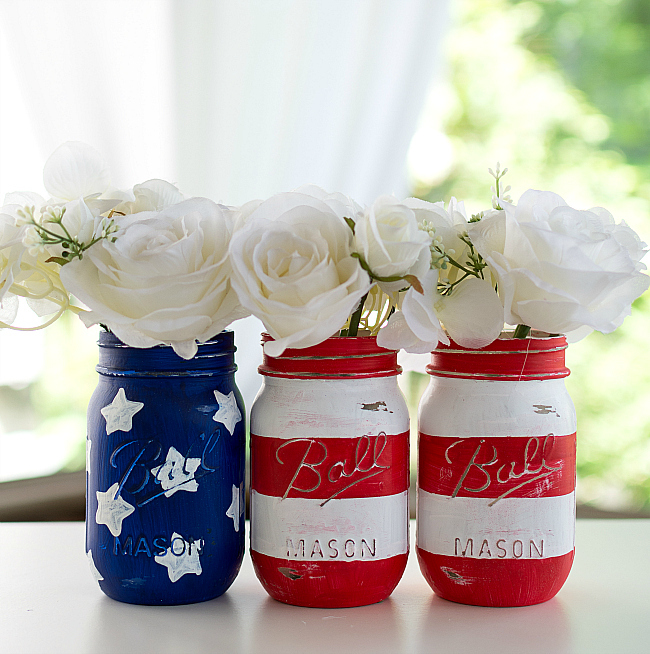 Let’s face it, anything red, white, or blue can be made into a Fourth of July decoration. Grab a pack of balloons. Paint those mason jars you have been saving. This is a great time to re-purpose items! Instead of buying a tablecloth, napkins, and plates with flag pictures on them, go for plain red, white, and blue for a fraction of the cost. When put all together, it will still look just as festive! Make it a good, old-fashioned barbecue. Hot dogs and burgers go with the Fourth like peanut butter goes with jelly. For buns, patties, and dogs, buy in bulk and reap your savings. 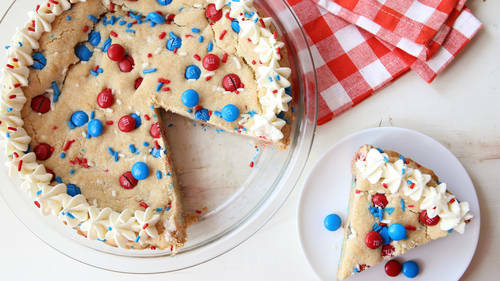 This affordable meal screams Fourth of July! When you are cooking for many people, it is also easy to keep throwing on meat and making sure everyone is full. For tips on maximizing money while barbecuing, as well as spicing up the classics, click here. Dress up your specialty desserts. Do you make a mean brownie? Or do you love to whip up batches of cupcakes and Rice Krispie treats? If it’s something you know you are good at that fits in your budget, stick with it and add some patriotic sprinkles or frosting! For ideas on making your favorite desserts festive, click here. Remember that the company you keep is most important. At the end of the day, it doesn’t matter how much money you spent or what you cooked. What matters is that you had a wonderful celebration with your friends and family! You’ve heard about the benefits of creating and sticking to a budget. But where in the world do you start? How can you actually develop a good budget that fits your life? The best source of guidance and direction in this process will come from tracking your expenses. If you are unsure of where to start, just follow our steps and you should be on your way to developing a budget that fits your lifestyle! Divide your expenses into categories. In order to track your expenses and start a budget, you should see where you need to spend money and where you do spend money. Make a list of categories to record where your money goes. Examples of categories are food, entertainment, utilities, rent, insurance, eating out, etc. Write whatever categories you have down so you can visually see where your money is going. Start recording what you spend. The best way to see what changes you need to make is to record the details of your spending. 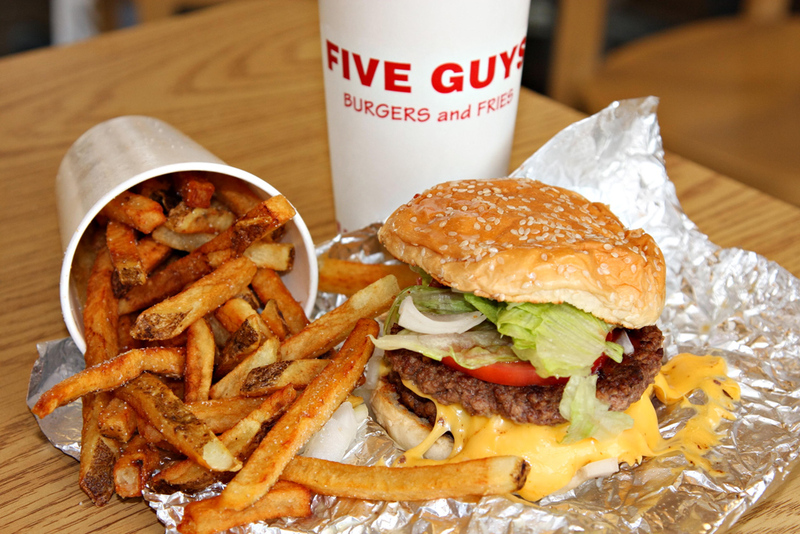 Are you throwing more cash away eating out than you thought? Are you scrambling to gather money for your bills because you went to a lot of movies this month? It may seem like you know what you’re spending by just checking on your banking app, but categorizing your expenses really makes a difference. You can go the old-fashioned route and write it all out for yourself with pen and paper, or you can create a spreadsheet on Excel. Many people also use budgeting apps that will categorize your spending for you. Don’t do anything differently during your first month. 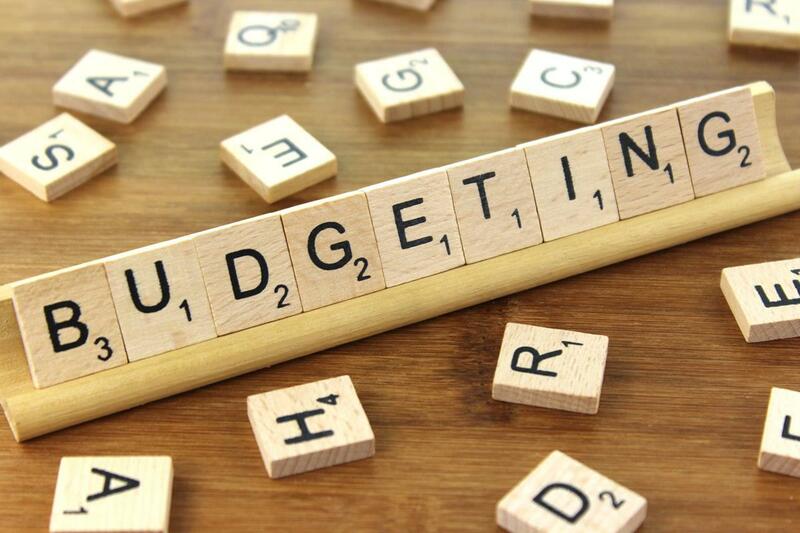 To get an idea of what type of monthly budget you need, you’ll have to record your expenses for a whole month. It may be tempting to already try to cut spending down since writing and categorizing it makes you so much more aware of bad habits, but you really need to get an accurate snapshot of your current situation. Give yourself a chance to truly analyze your natural spending habits. Decide how much money should actually go into each of your categories. How much do you need for your monthly bills? Have you seen any trends in your spending? It’s so easy to swipe a card and forget about a purchase when you do not track your expenses, but writing down every single transaction and what it went to may make you think twice about how often you buy a coffee or burger. Still enjoy yourself, but just do it in moderation if you are uncomfortable with how much you have been spending. If you need tips on where to cut costs, you can find some here. Once you decide how much money goes where, think about what you may do if you have anything left over. Is there something you want to save for, or do you just want to build your savings in general? Tracking expenses can seem daunting at first, but will help reveal some trends that you may not have seen by just glancing at your account statements. You’ll feel organized with your budget, and in charge of your finances. Clear the clutter. If there is excess weight in your vehicle, you may not think it makes much of a difference. However, excess pounds can greatly reduce fuel economy. Have you been lugging something around in your trunk because you haven’t felt like putting it away? An excess of just 100 pounds can lower fuel economy by 2 percent. Pamper your car. Just like human beings need haircuts and teeth cleaning, cars need some TLC too! Getting a tune-up, inflating tires to the proper pressure, and getting regular oil changes can increase fuel economy by 4 percent! Slow down. Are you regularly driving on the highway at 75 mph or faster, complete with acceleration, lane changing, and hard braking? These behaviors dramatically decrease fuel economy. By slowing down to a comfortable cruise at 65 mph and calming down with accelerations and brakes, your fuel economy will increase by a whopping 35 percent. Windows, anyone? Many people think that if you are driving fast, the A/C needs to be on. Surely riding with the windows down and wind blowing everywhere cannot be good for your efficiency. The opposite is actually true! Edmunds’ road testers got to work and figured out that fuel economy actually increases up to 9 percent with the windows rolled down. Search for gas savings. Sometimes it may not be worth it to drive out of your way for savings of a couple cents, but it still pays off to glance at local gas prices. If you pass 3 gas stations on the way to work, go to the cheapest one! Websites like GasBuddy.com will compare gas prices in your area. Another tip: Seek out the places that give you discounts. Many grocery stores either have savings associated with their discount cards (like the Kroger/PayLess card) or their credit cards. If you can save beyond the price that is advertised, it can really add up. Research insurance discounts. You’ve seen the commercials! Most insurance providers have now put safe driving incentives in place. All it takes is installing a device in your car that tracks your miles, speed, and amount of brakes. You can receive a discount on insurance if you have a short commute, or drive safely. There is no penalty for driving many miles or having to do a hard brake. You can only save in this scenario. Calculate costs before a trip. With tolls climbing up to $4 in some areas of the country, it can actually cost a significant chunk of money to travel on toll roads. Before embarking on a trip, calculate your route with and without tolls. If you have to go out of your way, do gas prices make it worth avoiding the toll? It all depends on the distance and associated costs. To research more about fuel economy, you can play around on fueleconomy.gov. Here, you can simulate scenarios with your car type and see what might make a difference for you.